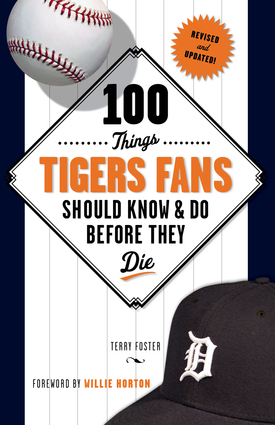 Terry Foster is a sports columnist with the Detroit News and is the cohost of the radio program Valenti and Foster. He serves on the media board for Central Michigan University Life and was named a Central Michigan University journalism alumni of the year. He is the coauthor of Great Detroit Sports Debates. He lives in West Bloomfield, Michigan. Willie Horton hit 20 or more home runs seven times, and his 325 career home runs ranked sixth among AL right-handed hitters when he retired. He enjoyed his best season in 1968 with the world champion Tigers, finishing second in the AL with 36 homers. He lives in Detroit.